Feet continue to intrigue me. We discuss the role of the calcaneus and its interaction with tibial and femoral function in the Impingement and Instability course. I enjoyed discussing how the upper extremities play a destabilization role in the ankle and foot, and talus response to tibial rotation or the tibia response to talus orientation at last year’s Spring Symposium. I am also beginning to appreciate how much one can extrapolate about the clinical functional status of the plantar surface of the foot by looking at the top of the foot. These tibia, talus and calcaneus relationships and observation of the superior foot, outline and define the personality and behavior of the inferior or bottom of the foot. 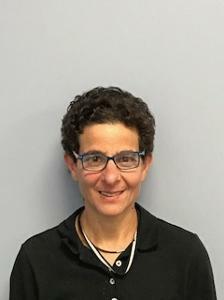 Jacqueline Shakar DPT, MS, PT, OCS, CMT, LAT has taken ten courses offered by the Postural Restoration Institute® and besides her roles she fills as Program Director and full time professor at the Physical Therapist Assistant program at Mount Wachusett Community College in Gardner MA, she is the lead instructor of Graston Technique® therapy. She also maintains her clinical skills by practicing at Central Mass PT and Wellness in West Boylston, MA. Her interest in the foot and its direct association with balance and gait, restricted or unrestricted, makes her a perfect fit for someone I want to listen to regarding “core” function of the foot, and how it might influence our upright fear or security based behavior. I am looking forward to her presentation on how she uses key evaluation tests and neuromuscular exercise interventions to reduce postural dysfunction and unnecessary tonicity.